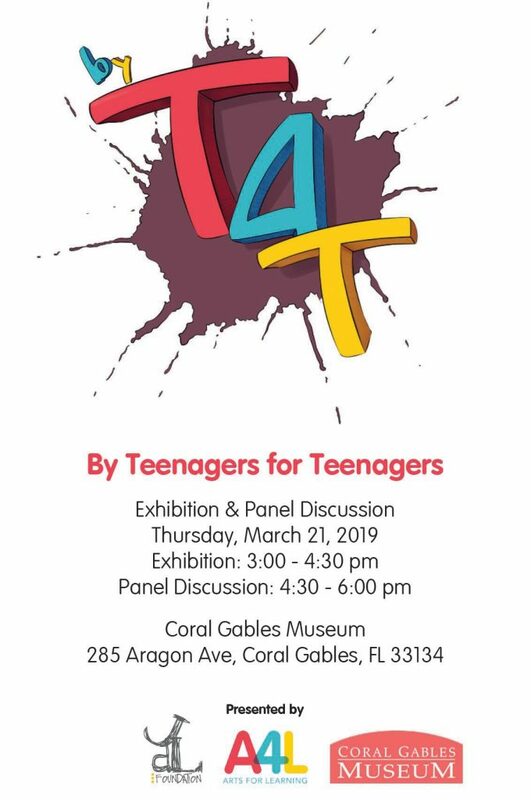 Arts for Learning/Miami (A4L) presents By Teenagers for Teenagers (BT4T), an exhibition of works and panel discussion hosted by high school interns of A4L’s ArtWorks Internship in the Arts, at the Coral Gables Museum (285 Aragon Ave, Coral Gables, FL 33134) on Thursday, March 21, 2019, from 3:00 – 6:00 PM. 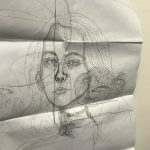 By Teenagers for Teenagers will feature drawings, paintings, sculptures and installations by ArtWorks interns, 14 high school students hired by A4L to make art while gaining crucial workforce skills. 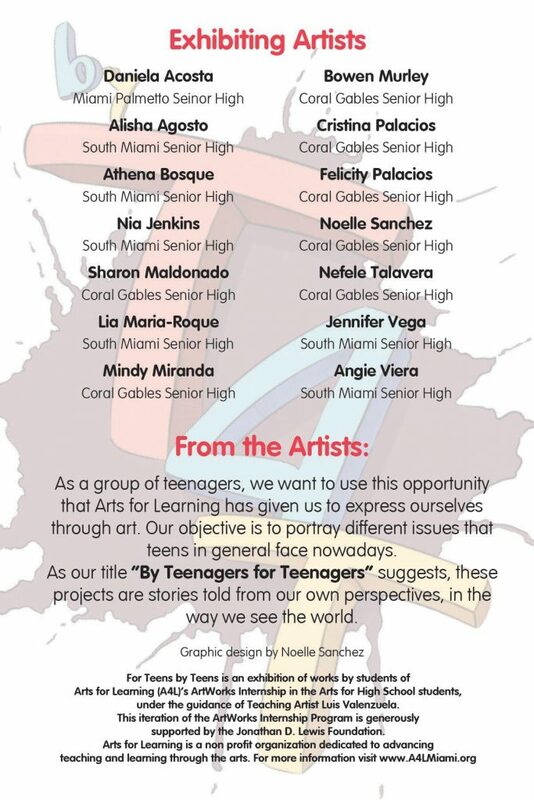 Interns of this iteration of the ArtWorks program worked under the guidance of A4L Teaching Artist and renowned designer Luis Valenzuela, and are students of Coral Gables Senior High, Miami Palmetto Senior High School, and South Miami Senior High School. A look at life from within the midst of adolescence, BT4T presents a look at and a listen to a group of teens who have developed narratives in their work based on issues of personal development, identity and mental health. 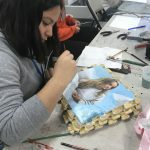 An exhibition of their work will precede a panel discussion led by the artists, seeking to bridge the conceptual gap between adolescence and adulthood. The exhibition and panel discussion are open to the public. 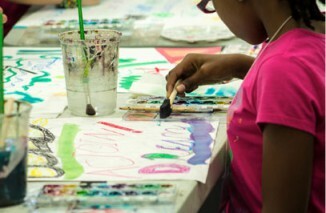 Through the ArtWorks Internships in the Arts program, A4L hires high school students (aged 14-18) who have an interest in the arts to work with professional visual or performing artists to make art, as well as attend workforce skill development workshops on networking, resume writing, and public speaking, among other topics. 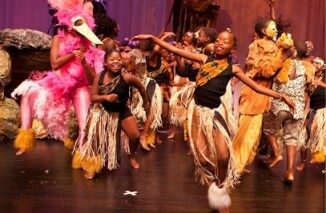 Arts experience is not a requirement for employment and all students who apply are interviewed in an effort to impart moments for professional skill development onto as many teenagers as possible. 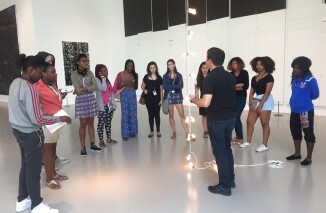 The ArtWorks internship occurs at two A4L locations: the Lewis Arts Studio in Coconut Grove, and at The Light Box at Goldman Warehouse in Wynwood. 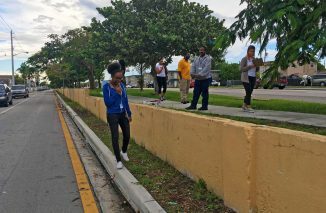 Coconut Grove interns meet two to three week days after school dismissal, and Wynwood interns meet on Saturday mornings. 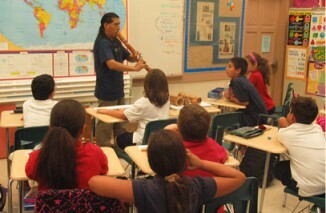 All interns also receive college advisement throughout the program and are paid for their work. 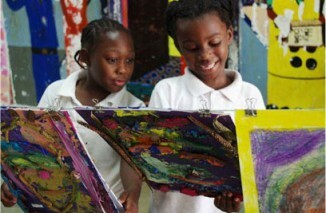 This iteration of the ArtWorks Internship Program is generously supported by the Jonathan D. Lewis Foundation. 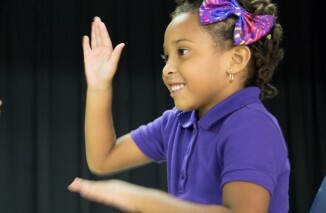 Donate today to help bring A4L programs to students across South Florida. 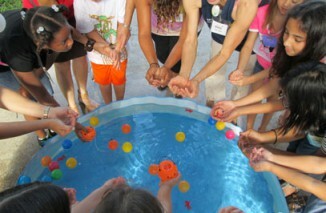 Click here to register for an A4L program! 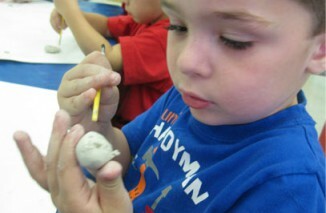 Sign up for A4L updates!